Dubai International Airport is only 15 minutes from Novotel World Trade Centre. Dubai’s second airport – Al Maktoum International Airport in Jebel Ali is only a 45 minutes drive away. By Road – From the Airport follow directions to Garhoud Bridge going towards Sheikh Zayed Road. 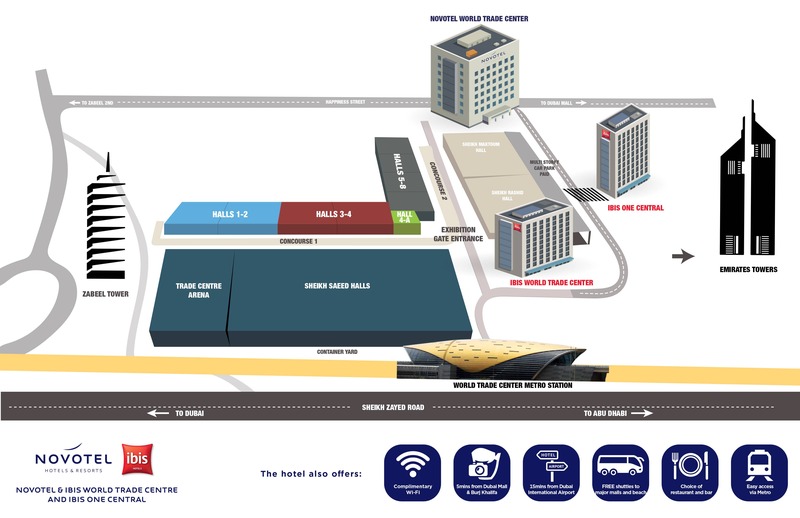 From Trade Centre roundabout take the Zabeel exit and follow directions to convention Centre.